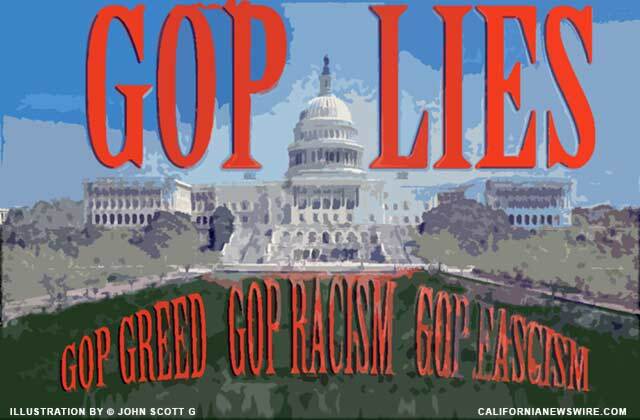 Racists and greedmongers keep getting elected thanks to the moron base of the Republican Party. What does this mean for normal, sane people? Here is a sneak peek at the GOP agenda for America. Conservatives act in ways that are counter to the interest of fairness and justice. Their god is greed and their masters are huge corporations and multi-millionaires. Everyone with a soul — or an I.Q. above eighty — can see this if they take the time to look, yet the majority of the voting population often appears uninformed, as recent election results demonstrate. (S. 103) Puppies and Kittens Are Gosh-Darn Cute Taxation Fairness Act – Removes tax burdens for poor, woebegone, downtrodden multinational corporations. (H.R. 2702) Ponies and Princesses for Everyone Tax Code Renewal Act – Removes tax burdens for poor, woebegone, downtrodden billionaires. (S. Res. 255) Unicorn Protection Act – Removes tax burdens for poor, woebegone, downtrodden millionaires. (H. Res. 502) Revenue Equality Deployment Act – Removes tax burdens for poor, woebegone, downtrodden folks making high six-figure incomes. (H. Res. 51) American Business Unrestrained Act – Sometimes known as the “let them enjoy bottled water” act, this law would remove safeguards for clean air and clean water. “We must remove regulation from the backs of American business so that more people will die from polluted air and water, thus improving the economic prospects of our great American funeral parlor industry,” said Joni Ernst, winner of the “Even More Odious Than Trump” award from the Chamber of Commerce. (S. 737) Recovering Our American Natural Resources Act – Permits fracking to occur anywhere, anytime (exemption: no fracking shall occur within ten miles of a rich person’s home, especially if that person is a campaign donor). (S. Res. 1205) Colorblind Activism Act – Makes legal all GOP voter suppression activities. “Our Klan brothers will finally enjoy the cloak of protection that a Conservative Congress can and should provide,” said Jason Chaffetz, Member of the House of Representatives and Grand Dragon from Utah’s 3rd district. (H.R. 72) Jigsaw Puzzle Protection Act – Makes GOP gerrymandering legal in all districts. “It’s a question of homeownership and the white race and the Christian religion and suppressing inferior races — you know, typical GOP values,” said Paul Ryan, current Speaker of the House of Representatives and so-called Intellectual Leader of the Conservative Movement. (H.J. Res. 199) Life is a Wheel and Education is the Hub Act – Calls for ending students’ rights both on and off campus and raises the tuition of colleges. “I love the poorly-educated,” said Donald Trump, the Conservative’s Conservative. (H.J. Res. 871) GOP Full Healthcare Act – Ends citizens’ rights to healthcare coverage — with exceptions for current and former elected officials and registered lobbyists. “It’s tough being in politics today and we need access to good healthcare,” said Ted Cruz, Senator from Texas and winner of the “Most Loathed Man In Congress” award two years in a row, narrowly beating Trey “#GowdyDoody” Gowdy and Darrell “#DouchebagAlarm” Issa. (S. Res. 9151) Using Math We Made Up to Justify Callousness Act – Raises retirement to age 75 in 2018, age 78 in 2021, and age 82 by 2025. “At last we’re going to ‘Ayn Rand’ these people and finally get rid of these freeloader seniors who are harming the fiscal stability of these great United States of America,” proclaimed Paul Ryan, current Speaker of the House of Representatives and so-called Intellectual Leader of the Conservative Movement.